Alaska Power & Telephone (“APT”) is a classic OTC Adventures stock. It operates in a geography that is remote to most, in a relatively boring industry, with little chance of entering the limelight any time soon. Despite operational success, a strong balance sheet, and a rising share price, the company remains obscure and ignored. I first profiled APT way back in 2012 when shares changed hands at a mere $17 compared to today’s $60. Practically nobody read OTC Adventures at the time, so let me reintroduce the company. APT has been in operation since before Alaska even achieved statehood. The company provides electrical power and telephone service to many Alaskan communities, including some extremely remote outposts. APT’s regulated power activities are 75% hydroelectric and 25% fossil fuel. Its telecom activities span traditional regulated exchange activities and non-regulated broadband services. In 2017, revenues from broadband-associated offerings surpassed traditional telecom revenue for the first time. From the company’s 2017 annual report. Because APT operates two completely different businesses, it is necessary to evaluate each in order to derive a value for the whole. The power business is the smaller and simpler of APT’s segments, so let’s start there. In 2012, APT’s power business produced revenues of $20 million, with EBITDA of $8.0 million and EBIT of $4.9 million. In 2017, the segment brought in revenue of $19.9 million, EBITDA of $8.5 million and EBIT of $5.1 million. If there’s a textbook stable business out there, this is it. The power business has nearly no growth potential, but also enjoys practically guaranteed profits. The earnings stream from the power segment is essentially an annuity and should be priced like one. Electric utilities in the lower 48 are valued highly. Anywhere from 12-20x EBIT is common depending on asset types, underlying electricity demand dynamics and the regulatory environment. APT’s power segment probably deserves… less. Alaska’s population is stable at best, particularly in the interior areas APT serves. In other words, the demand for electricity will grow slowly. Combining a lackluster demand picture with the reality of APT’s tiny size makes me think a 10x EBIT multiple is fair. That would put the value of APT’s power operations at $51 million based on 2017 figures. On an EBITDA basis, that’s a 6.0 multiple. Are both measures too conservative for a regulated electric utility? Possibly. But if there’s anything I’ve learned, one must be very careful not to pay too much for a slow-growth/no-growth business. When there’s little or no top-line growth to bail you out, every point of the purchase multiple matters. The “telephone” part of of APT’s business is both larger and more dynamic. Until recently, APT’s telecom segment was like nearly every other rural telecom: facing a slow erosion of revenue from traditional wireline services and scrambling to make up the losses with unregulated broadband offerings. APT was relatively successful in doing so, but the telecom segment was only moderately profitable and certainly not a growth engine for the company. All of that changed with the FCC’s A-CAM program. This rural infrastructure program has already had a tremendously positive impact on the financials of many rural telcos, and will continue to do so for a decade to come. If you’re unfamiliar, A-CAM is essentially an enormous subsidy that telcos can receive if they commit to extending broadband internet access to nearly the entirety of their service areas, including areas far too sparsely populated or remote to justify service under previous funding mechanisms. Naturally, rolling out this service requires a significant amount of incremental capital expenditure. But the net effect is a dramatic increase in both profits and cash flows for many rural telcos, and APT is one of them. In 2016, APT’s telephone segment (regulated and unregulated services included) earned revenue of $24.7 million, EBITDA of $9 million, and EBIT of $5.4 million. In 2017 with the addition of the A-CAM subsidy, telecom segment revenue soared to $36.4 million, with EBITDA rising to $15 million and EBIT nearly doubling to $10.3 million. Investors should expect to see elevated capital expenditures in telecom for some time to come, so not all of the increased GAAP profits will fall to free cash flow. However, the great thing about investment in fiber is its longevity. Once in the ground, the expensive part is over. Good quality fiber optics can easily last decades and decades, much longer than copper cable or coaxial fiber. The investment APT makes now in expanding its fiber network will be producing revenue in 2049, long after the investment has been fully depreciated. As the rural telco managers I talk to like to say, fiber is “future-proof.” Even in the coming 5G world, fiber networks will serve as the backbone enabling 5G wireless services. Well and good, but what’s it worth? Other rural telcos trade at EBITDA multiples of 5-6 depending on the attractiveness of their geographies, their opportunity for profitable investment in fiber, the competitive landscape, and balance sheet strength. I value APT’s telecom segment at the high end of this range. APT is well-situated with little threat of new competitors entering their markets and plenty of rural Alaskan households and communities needing broadband services. Compared to highly leveraged rural telcos like Consolidated Communications or Shenandoah Telecommunications, APT carries little debt. For the twelve trailing months ended September 30, 2018, APT telecom produced EBITDA of $15.4 million. We know that APT will receive an additional ~$800,000 in annual A-CAM funding from the FCC’s recent enhanced offers. So we can call EBITDA $16.2 million. A 6x multiple would value the telecom segment at $97.2 million. Now to the liabilities. Based on its debt amortization schedule, APT had total debt of $48.2 million at year-end. A large portion of this debt is owed to CoBank, a quasi-governmental bank that lends to rural infrastructure owners and operators. CoBank functions much like a mutual and pays out annual “patronage dividends” to borrowers, effectively reducing their borrowing costs. Because it is able to borrow on such friendly terms, I believe the economic value of APT’s debt is below its stated value. I won’t reproduce it here (gotta leave some work for my very industrious readers), but I created a schedule of APT’s debt obligations and discounted the cash flows assuming a spread of 400 basis points over treasuries for each time period. I arrived at a value of $45.5 million, which seems fair to me. This includes the effects of an interest rate swap struck at 7.62% on the largest portion of APT’s debt. This debt is being amortized rapidly and will be gone in five years. I expect APT will receive a much better rate the next time they approach CoBank. So $51 million for power, $97.2 million for telecom, less debt of $45.5 million values APT equity at $102.7 million, or $80 per share, 33% higher than today’s prices. Once again, this is conservative. I did not give APT credit for any balance sheet cash, nor the CoBank patronage stock it holds. It’s not difficult to imagine some EBITDA growth in coming years from their fiber roll-out either. While APT appears cheap on the numbers, investors must be prepared to truly think like owners. Shares are very illiquid, and most are held by company insiders and employees. It’s highly unlikely that a bid for the company will emerge, so you’ve got to trust insiders to run the company well. On the whole, they have stewarded the company well. Management took a detour into empire-building a decade ago with disastrous results, but they appear to have regained their discipline. I am happy to hold APT for the long term. Alluvial Capital Management, LLC holds shares of Alaska Power and Telephone Company for clients. Alluvial Capital Management, LLC may hold any securities mentioned on this blog and may buy or sell these securities at any time. For a full accounting of Alluvial’s and Alluvial personnel’s holdings in any securities mentioned, contact Alluvial Capital Management, LLC at info@alluvialcapital.com. It’s no secret that the active investment management industry has seen better days. Decades of high fees and uninspiring returns have spurred investors to reallocate their dollars to passive index-following strategies. Declining assets under management not only reduces the earnings that active managers collect, but also the multiple at which the market is willing to capitalize those earnings. As the industry continues to struggle, active asset managers have seen their valuations and stock prices decline. And yet, active managers still hold trillions in assets under management. Active strategies aren’t going away any time soon. You wouldn’t know that from looking at certain asset managers. The heavy pessimism surrounding the active asset management industry has lead the market to price certain managers as if they will soon cease to exist entirely. A prime example is Manning & Napier, Inc.
By any benchmark, Manning & Napier is an extraordinarily successful manager. Founded in Rochester, New York in 1970, the firm grew its AUM to a whopping $50 billion by 2013. At one point, the firm’s flagship large cap equity fund beat the S&P 500 for 11 years running. M&N went public in 2011 with a slightly unusual structure. Manning & Napier, Inc. owns a minority interest in the underlying management company, Manning & Napier Group, LLC. In 2011, M&N, Inc.’s ownership in the management company was 13.2%. It has since increased to 18.2% as owners of the management company have converted their interests to shares of the public company over time. Unfortunately, the IPO represented the high point for Manning & Napier and its investors. Soon after, the performance of the company’s largest and most important funds began to suffer. The redemptions started coming and they haven’t stopped since. From the peak in 2013, AUM has now declined by more than half to $23.1 billion at September 30, 2018. Over the last five years, Manning & Napier shares are down nearly 90%. Today, M&N appears to be a mere $25 million market cap speck. In truth, the company is a little larger. Remember that M&N owns only 18.2% of the underlying investment manager. On a full ownership basis, the market is valuing the entire manager at $138 million. An investment manager with $23.1 billion under management for $138 million. That’s a value of 0.6% of assets under management. That’s low, even for a shrinking company in a despised industry. By way of comparison, Hennessy Advisors is valued at 1.4% of AUM and Silvercrest Asset Management Group is valued at 0.9% of AUM. But that’s not the whole story. Turns out Manning & Napier has a wealth of cash and securities on its balance. The only meaningful liabilities besides normal payables is an $18 million tax liability which will come due over time as the company continues to exchange its shares for additional ownership in the underlying manager. Cash and securities, net of the full tax liability equals $128 million. That makes M&N’s actual market value something close to $10 million. That’s right, $10 million or a mere 4 basis points of AUM buys you $23.1 billion in AUM. So what’s the catch? There’s got to be some horrible issue facing Manning & Napier. An SEC action, maybe litigation by former employees? No and no, but the company does have some serious cost issues. With half the AUM it once had, it seems M&N has had difficulty cutting costs to match its new reality. And that has had a terrible effect on operating margins. In 2015, the company earned $129 million in EBIT on revenue of $138 million for an operating margin of 40%. In 2017, EBIT declined to $52 million on revenue of $202 million for a 26% margin. Through the first three quarters of 2018, EBIT has continued to plunge far faster than revenues. I understand Manning & Napier’s reluctance to let go of long-time employees and its desire to maintain a robust infrastructure in hopes of a turnaround. But at some point, there must be a reckoning. The last quarter’s EBIT margin dipped to 11%, and it could go negative in the fourth quarter given the market’s path these last few months. Again, for comparison, Hennessy Advisors put up a 45% operating margin this year, and Silverspring did north of 20% this last quarter. Slightly different models, sure. But the point remains there’s no excuse for earning so little on the revenue stream from over $20 billion in AUM. The glory days are over. They may come again, but for now it’s time to tighten the belts a few inches. Manning & Napier appears exceptionally cheap, but investors must be comfortable with the risk that the company fails to address its AUM slide or failing that, cannot address its cost issues. On the other hand, solving one or both of these challenges could result in a massive upswing in profits and equity value. Alluvial Capital Management, LLC does not hold shares of Manning & Napier Inc, Hennessy Advisors, or Silvercrest Asset Management Group. Alluvial Capital Management, LLC may hold any securities mentioned on this blog and may buy or sell these securities at any time. For a full accounting of Alluvial’s and Alluvial personnel’s holdings in any securities mentioned, contact Alluvial Capital Management, LLC at info@alluvialcapital.com. Southern BancShares is my favorite type of company. The firm is secretive, allergic to self-promotion, strongly profitable, and loves to return capital to shareholders. Just as important, the company is dedicated to making prudent investments and sensible acquisitions and expansion. 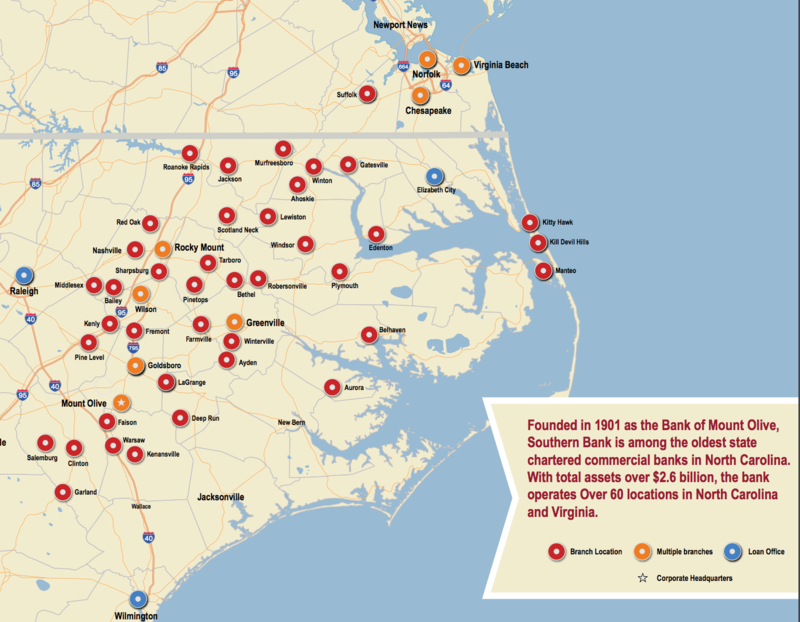 Southern BancShares was founded in 1910 as the Bank of Mount Olive in Mount Olive, North Carolina. The bank has expanded throughout eastern and coastal North Carolina and into Virginia’s Hampton Roads metro. Over the last 20 years, the company grew its tangible book value per share at an 11% annual rate and repurchased 32% of its shares outstanding along the way. Somewhere along the way, Southern BancShares picked up a meaningful stake in a related bank: First Citizens BancShares. It’s no coincidence. A look at the board of directors and top holders of each company reveals many of the same names. These companies are closely-related and have been since their founding. By any measure, First Citizens BancShares is a successful mid-sized bank. Over the last 20 years, the company grew its book value per share fivefold while building its balance sheet from $9 billion to $35 billion. First Citizens has long been a voracious acquirer of small banks, and benefited from its locations in high-growth areas with good demographics. The company now operates bank subsidiaries in 19 states and is in the midst of acquiring Capital Commerce Bancorp. Because of its growth efforts, First Citizens has come to dwarf Southern BancShares. First Citizens is NASDAQ-listed. At year-end, Southern held 204,463 First Citizens Class A shares and 22,619 First Citizens Class B shares. Together, these shares are worth $106 million. Not shabby! With just 81,223 shares of Southern BancShares stock outstanding, each share of Southern BancShares represents ownership of 2.52 First Citizens Class A shares and 0.28 First Citizens Class B shares. That’s total value of $1,300 per Southern BancShares share. Southern BancShares stock is illiquid and the bid/ask spread is often wide. But at a recent price of $3,600, the look-through value of the First Citizens stock that Southern owns makes up 36% of its market capitalization. The remaining $2,300 of the share price that isn’t covered by First Citizens stock works out to $187 million in equity market value. Adjusted for the tax-effected value of its First Citizens stock, Southern BancShares’ tangible common equity is $172 million. So in essence, an investment in Southern BancShares stock at the current share prices values standalone Southern BancShares at 1.1x tangible book value and a current P/E of ~7.5x. That’s one way of seeing things. The other way is to estimate a fair value for Southern BancShares’ operations, then to see what we’re paying for First Citizens. I think 1.7x tangible book value is a very conservative value to apply to Southern. This works out to only 11.6x current earnings. At this valuation, Southern’s own operations would be worth….$3,600. That’s the entire current market capitalization, meaning investors get First Citizens for free! Just as a check, we can look at the valuation on a look through basis. First, earnings. Southern BancShares’ own operations should produce about $310 per share in earnings this year. First Citizens should earn about $31 per share in 2018. That would add $87 per share to Southern’s earnings if First Citizens were treated as an equity investment. This totals to $397 per share, giving us an estimated current P/E of 9.1x. On a tangible book value basis, remember that Southern’s banking operations have tangible equity of $172 million. On a look-through basis, the owned First Citizens shares add $65 million. That totals $237 million. Southern BancShares’ market capitalization of $292 million yield a price-to-tangible book ratio of 1.2x. I’m not big on relative valuations, but they do provide helpful insight into market expectations. Right now, US banks with balance sheets from $10-50 billion trade at a median price-to-tangible book ratio of 2.2x and a median current P/E of 17.5x. Banks with $1-10 billion balance sheets trade at 1.8x tangible equity and with a P/E of 17.0x. No matter how you categorize it, Southern BancShares looks cheap. The usual stipulations apply. Southern BancShares stock is extremely illiquid and the company is closely-held. What insiders want, they will get. The company’s bank operations are also fairly geographically concentrated (though First Citizens is national in scope) and a downturn in the North Carolina economy would sting. Investors in Southern BancShares should not expect short-term fireworks and must be prepared to hold on the very long term. Alluvial Capital Management, LLC holds shares of Southern BancShares, Inc. for clients. Alluvial Capital Management, LLC does not hold shares of First Citizens BancShares, Inc. for clients. Alluvial Capital Management, LLC may hold any securities mentioned on this blog and may buy or sell these securities at any time. For a full accounting of Alluvial’s and Alluvial personnel’s holdings in any securities mentioned, contact Alluvial Capital Management, LLC at info@alluvialcapital.com. I have another interesting idea in the aircraft leasing industry: Aerocentury Corp.
Aerocentury is a tiny aircraft lessor headquartered in California. The company owns 25 aircraft, all smaller regional jets and turboprops, plus one engine. Aerocentury focuses on aircraft worth $10-25 million and attempts to lease them for periods of 3-7 years. Lessees tend to be small regional airlines worldwide. Aerocentury’s operating history is lackluster. Over its 21 year corporate existence, the company has always struggled to earn its cost of capital. The company’s profits have been wildly inconsistent year-to-year, with periods of strong results followed by mis-steps and losses. The company has occasionally had leases go bad, and recently suffered after buying a few aircraft for which demand proved elusive. But the biggest reason that Aerocentury has always struggled to earn sufficient profits is its relationship with Jetfleet Management Corp. Jetfleet is responsible for managing leasing activities for Aerocentury, and gets paid handsomely for the task. From 2013 through 2016, management fees paid to Jetfleet amounted to nearly 28% of Aerocentury’s total operating lease income. Jetfleet is controlled by Aerocentury’s largest shareholder. This onerous external management structure and the resulting depressed profitability is likely the reason that Aerocentury trades at such a gigantic discount to its asset value. At $16.80, Aerocentury is priced at 50% of book value. (And this is after a pretty decent upward move in the stock. For much of 2017 and before, shares traded at under 35% of book value.) However, the company is in the process of unwinding this structure. Aerocentury is in the process of buying Jetfleet and fully internalizing its management. The company will pay Jetfleet’s owners $3.5 million in cash and 129,286 shares of Aerocentury stock. This is a good deal for Aerocentury. At $16.80, the purchase price for Jetfleet works out to $5.7 million, which is 3.4x Jetfleet’s estimated 2017 operating income. The company estimates Jetfleet’s 2019 operating income will be $2.0 million. Assuming a 30% tax rate for Aerocentury, this would add 91 cents per share to Aerocentury’s annual net income. The resulting increase in profitability might convince investors to value Aerocentury shares closer to book value. The successful completion of the acquisition is not in question with Jetfleet’s controlling shareholder in favor. The transaction has taken a little longer than expected. Aerocentury had not expected to bring the issue to a shareholder vote, but was ultimately required to do so by law. That accomplished, the acquisition should be completed this year. Integration risk is minimal, given the existing close relationship. Internalizing management will unquestionably benefit Aerocentury’s profits and clean up the company’s principal-agency conflicts. However, investors should still view the company with a skeptical eye given its history of poor results (even after adjusting for Jetfleet’s fees) and its operating model. As I mentioned before, Aerocentury’s lessees are regional airlines worldwide. Many of these are not “investment-grade” carriers and there is a risk of non-performance. The airline industry is cyclical and these carriers are at the end of the whip, feeling the effects of fuel costs, local recessions, and other headwinds most acutely. Aerocentury is also feeling the effects of rising interest rates, paying much more than before to finance its fleet. The company lends long and borrows short, so spreads will be compressed until leases reprice at the end of their terms. Aerocentury is ultimately not for me, but more enterprising readers may find the company’s shares too cheap to resist. Alluvial Capital Management, LLC does not hold shares of Aerocentury Corp. Alluvial Capital Management, LLC may hold any securities mentioned on this blog and may buy or sell these securities at any time. For a full accounting of Alluvial’s and Alluvial personnel’s holdings in any securities mentioned, contact Alluvial Capital Management, LLC at info@alluvialcapital.com. Remember OTCAdventures? I’m still here, just very busy with Alluvial Fund, LP and all the fun of a young family. I found an intriguing investment idea, but be warned: I don’t know how to buy this. Futhermore, I cannot provide any advice on the tax implications of owning this investment or related securities. But here it is: Doric Nimrod Air One. “DNA One” is a Guernsey-domiciled closed-end fund that trades on the London Stock Exchange. This fancifully-named fund could hardly be simpler. It was formed in 2010 for one purpose: to acquire a single aircraft, lease the aircraft to an airline for an extended period of time, then to sell the aircraft at the conclusion of the lease and liquidate. Payments received over the course of the lease would be used to amortize acquisition-related debt and to pay an investors a steady quarterly distribution. DNA One acquired an Airbus A380-681. The A-380 is the world’s largest passenger aircraft, able to handle extremely long flights. Over 200 of these aircraft have been produced and delivered, with many more in production. The UAE’s “Emirates” is the largest operator of these aircraft, with over 100 in its fleet. True to form, DNA One leased its A380 to Emirates for a period of 12 years. The original debt associated with the purchase of the A380 was $122 million. In the seven years since the acquisition, DNA One has reduced the balance of that debt to $43 million. Meanwhile, the fund has paid a quarterly distribution to investors of 2.25 pence. The lease with Emirates is scheduled to terminate in December 2022, after which DNA One will sell its aircraft. Emirates has the right to purchase the aircraft at fair market value. If Emirates declines to purchase the aircraft, the fund will put the A380 up for sale in the general market. The global market for modern wide-body passenger aircraft is liquid, so I don’t anticipate any issues in achieving a quick sale. So the question becomes “How much can investors expect to receive as a liquidating payment?” Fortunately, the fund helps us out with that. The fund orders an annual appraisal of its aircraft from multiple appraisers and provides this information to investors. As of March 31, the average estimated value of the A380 at lease expiration was $101 million. Using the $101 million figure and June 30 exchange rates, the fund projects a capital return of 178 pence per share when the aircraft is sold at the end of its lease. Between now and then, investors will continue to receive 2.25 pence each quarter. Shares of DNA One recently closed at 100.50 pence, indicating potentially excellent return potential. If the quarterly income and capital return estimates hold true, investors purchasing shares today stand to earn an IRR of a little more than 21% between now and the end of 2022. The fund spells things out in its quarterly report. Now for a look at what could go wrong. The biggest risk Doric Nimrod Air One faces is the possibility that its aircraft could actually be worth substantially less in 2022. Aircraft values are affected by supply and demand, which in turn is driven by the activity of airlines and the pace of production and technological advances by aircraft producers. A look at the trend in recent appraisals does show a downward trend. In 2017, appraisers valued the A380 at $104 million. In 2016 the figure was $107 million. A 10% decline in aircraft value from the current $101 million estimate wold reduce liquidation value for shareholders by 18 pence. Still, it would require a very large decline in the value of DNA One’s A380 to create a truly adverse scenario for investors. By my calculations, the value of the aircraft at lease expiration would have to plunge 40% to $60 million for investors’ IRR to fall to 10%. Then there is counter-party risk. Let’s not forget that DNA One has only a single asset, and a single lessee. If Emirates encountered financial difficulty, the stream of lease payments could be interrupted and suddenly DNA One would find itself with no revenue and bills to pay. However, Emirates has long enjoyed strong profitability and the firm support of the UAE’s ruling family, so I consider the airline a high quality counter-party. There is also the fact an early lease termination could even be a good thing for DNA One’s shareholders. Even after paying off the remaining acquisition debt, the fund’s net asset value would be substantially in excess of its trading price and shareholders could receive a large payment several years earlier than planned. So why does DNA One appear so cheap? My guess is the usual suspects: size and illiquidity. The fund’s market capitalization is only £42.7 million and less than £20,000 worth of shares change hands daily. I also suspect that only a small sub-set of investors is willing or able to invest in a Guernsey-domiciled closed-end fund. I should also note there are two other related funds: Doric Nimrod Air Two and Doric Nimrod Air Three. Each is substantially larger than DNA One, more diversified, and has a longer time remaining in its aircraft leases. DNA Two appears to offer an IRR of 16% at current exchange rates and appraisals, while DNA Three offers 14%. Each fund owns the same type of aircraft and leases mainly to Emirates, so the huge divergence in prospective returns is a little strange to me even with Doric Nimrod Air One’s tiny size and asset base. I would really like to hear your thoughts! Note: I have already received some good comments highlighting the difficulty that the A380 may face down the line given its limited acceptance from major carriers. Residual value is a more serious concern than I had indicated in this blog post. That’s what’s fun about investing: the learning. Alluvial Capital Management, LLC does not hold shares of Doric Nimrod Air One, Two, or Three. Alluvial Capital Management, LLC may hold any securities mentioned on this blog and may buy or sell these securities at any time. For a full accounting of Alluvial’s and Alluvial personnel’s holdings in any securities mentioned, contact Alluvial Capital Management, LLC at info@alluvialcapital.com. I am in the midst of my annualish trek through all the community banks that trade over the counter. These range from the truly tiny, with balance sheets under $100 million, to gargantuan institutions that could easily be included in major market indexes were they to list on the NYSE or NASDAQ. As always, I am finding really interesting opportunities. Banks rapidly attracting deposits and growing their earnings assets, yet trading at or below book value. Banks building valuable mortgage origination or SBA lending franchises, but not getting any credit for these valuable and low-risk income streams. Venerable institutions with long track records of success that nonetheless languish in obscurity. NASB Financial is one of these venerable institutions. NASB Financial, headquartered in Kansas City, Missouri, owns North American Savings Bank. North American Savings Bank has served its community for 90 years, growing spectacularly along the way. Today, the bank is a major mortgage originator and has developed an innovative lending product for those who wish to invest in real estate via an IRA. Since 1990, NASB’s balance sheet has grown from $388 million to over $2 billion. Shareholders’ equity has grown from $17 million to $227 million, a 10% annualized growth rate. This 10% growth rate is extremely impressive considering the bank has paid out roughly half its annual earnings in dividends along the way. Today, NASB Financial trades at a trailing P/E ratio of 9.1 and a price to book ratio of 1.2. The bank’s equity is 10.9%, and the net interest margin is roughly 3.9%. Given this bank’s long history of excellent profitability and growth, this valuation looks extremely low. It certainly is well below peer valuations. Just as a check, I pulled a list of American exchange-listed banks with balance sheets ranging from $1-3 billion. The median price to book ratio was 1.61, and the median trailing P/E ratio was 19. On either basis, NASB Financial trades at a large discount to its peers. So why does NASB Financial trade so cheaply? Since you’re reading this blog, you can probably already guess that the company’s shares are pretty illiquid. They are, even for an OTC stock. Another reason is that NASB relies more heavily on funding from the Fed than most of its peers. At June 30, Federal Home Loan Bank advances made up 26% of the bank’s total liabilities. This amount will likely trend down as Fed funding becomes more expensive. Finally, NASB is a closely-held corporation. Like many other OTC-traded banks, NASB Financial is a family affair. David Hancock about one third of the company’s shares, and his wife serves as a director. Some investors steer clear of situations where a company is substantially controlled by one individual, but I don’t mind owning these companies when that holder has done an excellent job making money for shareholders. I believe this is one of those cases. I don’t own NASB Financial, but I present it here as an example of the kind of opportunity that abounds among OTC banks. I highly encourage anyone with the time and the inclination to go hunting in this very fruitful niche. Alluvial Capital Management, LLC does not hold shares of NASB Financial. Alluvial Capital Management, LLC may hold any securities mentioned on this blog and may buy or sell these securities at any time. For a full accounting of Alluvial’s and Alluvial personnel’s holdings in any securities mentioned, contact Alluvial Capital Management, LLC at info@alluvialcapital.com. Very long time, no post! Funny how time flies when you’re building a business, helping run a household and chasing a toddler around. But I’ve had some investing thoughts tumbling around my brain for some time, and I’m glad I still have this blog to record them. Today’s topic is on one of my specialties: a deeply-discounted, well-run, family-controlled European conglomerate. Next week, or perhaps the week after (no promises!) I will profile one of Alluvial’s newest and largest holdings. Long-time readers may remember how much I liked Moleskine SpA, the Italian luxury notebook manufacturer. The company boasted huge margins and was experiencing rapid growth with a long runway ahead of it. I owned the stock and hoped to own it for many years, but my plans were interrupted by a Belgian company, D’ieteren SA. Moleskine’s large private equity shareholders sold their holdings to D’ieteren, which then acquired the rest of the company. I made a very good return on Moleskine, but I believe I could have made much more had I been able to remain an owner. A few weeks ago I was wondering how Moleskine’s business had performed post-acquisition. So I pulled up D’ieteren’s financial statements to have a peek. Turns out, D’ieteren itself is worth a look! D’ieteren’s roots reach back to 1805, when the company manufactured horse-drawn coaches. With the advent of the automobile, the enterprise transitioned to automobile manufacturing, then automobile rental and sales. In 1999, D’ieteren purchased Belron and entered the automotive glass replacement and repair market. Today, D’ieteren Auto is a major distributor of Volkswagen group vehicles in Belgium, with over 20% market share. Belron operates worldwide under a variety of brand names. North American readers will likely be familiar with Safelite, as in “Safelite repair, Safelite replace!” With the additional of Moleskine, the company now operates in the consumer goods market. Let’s take a closer look at D’ieteren’s three major segments. D’ieteren Auto manages 125 Belgian auto dealerships and owns an additional 21 locations. The company is responsible for putting 1.2 million vehicles on the road. D’ieteren Auto’s activities also include auto financing and rentals. D’ieteren Auto is consistently profitable, but is not a growing business. As a highly developed nation with a low rate of population growth, Belgium’s auto market is saturated. Unit volume for D’ieteren Auto has not grown in a decade. In 2016, the segment earned €86.7 million. Results weakened slightly through the first half of 2017. Valuing D’ieteren Auto is an interesting exercise. On one hand, the company enjoys high market share and a strong incumbent position through its relationship with Volkswagen and extensive dealership network. On the other hand, the number of vehicles on Belgian roads is not likely to grow. If anything, it will likely begin to shrink as self-driving cars and ridesharing services develop. Personally, I am quite bearish on the idea of personal auto ownership in the medium to long term. Were I an acquirer, I would not pay more than 9-10x trailing earnings for the segment. That works out to €720-800 million for D’ieteren Auto. That’s a nice conservative figure because the segment also bears some of D’ieteren’s corporate costs which could be removed by an acquirer. Belron is D’ieteren’s largest segment in terms of revenues and profits. Belron has a global presence with operations on five continents. Belron offers automotive glass repair and replacement under various brand names. Belron’s revenues grew at a healthy 5.7% annual rate from 2007 to 2016. Unfortunately, profits did not grow at the same rate as margins compressed. Putting a valuation on Belron is easy for one important reason: D’ieteren has just closed on the sale of a 40% stake in Belron to Clayton, Dubilier & Rice, a European private equity firm with an impressive pedigree. The deal was done at at equity valuation of €1,550 million, netting D’ieteren €620 million from the sale. Prior to the sale, Belron also distributed a dividend of €453 million. Prior to the sale, D’ieteren held 94.85% of Belron, so they received €430 million from the dividend. Using the €1,550 million equity valuation for Belron, the 54.85% ownership that D’ieteren has retained is worth €850 million. It’s important to do a reality check on that €1,550 million valuation, but it does appear reasonable. The transaction with Clayton, Dubilier & Rice was done at an enterprise value of €3 billion, which is about 15x trailing EBIT. Perhaps a higher ratio than I like to pay, but fairly normal for a global business with decent growth potential that can fund itself at attractive rates. Last, there is Moleskine. Recent reports from D’ieteren show Moleskine continuing to grow at a healthy pace, though profits have declined. This is consistent with D’ieteren’s stated policy of making large investments in logistics and IT, positioning the brand for long-term growth. D’ieteren took Moleskine private at a valuation of €500 million. I think it’s fair to use that valuation even though the company’s revenues have grown. Personally, I believe Moleskine can be much more valuation over the next decade with proper management. Against this €500 million valuation, Moleskine has net debt of €300 million for a net value of €200 million. Using the €720 million value for D’ieteren Auto results in equity value for the three segments (54.85% for Belron) of €1,770 million. To that we can add the €430 million D’ieteren received as a dividend from Belron, and the €620 million that D’ieteren received for the sale of 40% of Belron. Finally, D’ieteren group has loaned €330 million to its operating businesses, €150 million to Moleskine and the balance to Belron. Adding this loan asset creates total value for D’ieteren of €3,150 million. D’ieteren’s market capitalization is €2,190 million, a discount of more than 30%. Still, I believe D’ieteren could be very attractive to the patient investor who is willing to trust the D’ieteren family to continue doing what they have done thus far: build the company in a judicious fashion, always taking the long-term view. Alluvial Capital Management, LLC does not hold shares of D’ieteren SA/NV. Alluvial Capital Management, LLC may hold any securities mentioned on this blog and may buy or sell these securities at any time. For a full accounting of Alluvial’s and Alluvial personnel’s holdings in any securities mentioned, contact Alluvial Capital Management, LLC at info@alluvialcapital.com. I enjoy delving into the many family-controlled investment vehicles that European markets have to offer. Many trace their roots back to the Industrial Revolution when new technologies created fortunes and wealth unrelated to nobility, or back to storied banking houses. There are fewer and fewer of these vehicles, and that makes complete sense. If you were part of a generationally wealthy European family, would you want to invite the public to scrutinize your financial dealings? I am essentially the opposite, coming from a line of farmers and coal miners, but I still would prefer my family’s finances remain unobserved. So the steady trend has been for these family-controlled firms to buy out minority holders and go private. One family company has has bucked this trend is Compagnie Lebon SA. The company was founded in 1847 to provide gas lighting and eventually came to control gas distribution monopolies in France, Spain, and Northern Africa. Following the wave of nationalizations after World War II, the company expanded into industry, banking, financial services, and hospitality. The company even had a role in creating the first modern mutual funds with Merrill Lynch. Today, the company operates a portfolio of of hospitality and real estate assets, plus a private equity arm. Since its founding, the company has been controlled by the well-established Paluel-Marmont family. In 2015, an article in a French publication ranked the family #479 on its list of the 500 largest French fortunes. The family controls 61% of Compagnie Lebon’s shares, though it has turned over management responsibilities to professionals from outside the family. The family patriarch, Jean-Marie Paluel-Marmont, serves as a non-voting director. As is often seen with such old fortunes, the current generation of Paluel-Marmont heirs has expanded into fashion, banking, even entrepreneurialism in the baked goods market. Compagnie Lebon’s hospitality assets are Esprit de France and Sources d’Equilibre. 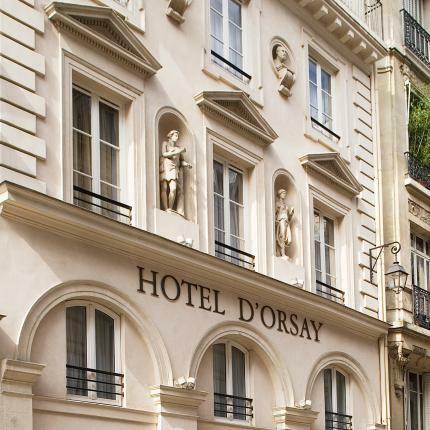 Esprit de France consists of 9 Paris hotels, 8 being four-star properties and 1 a three-star, plus 1 five-star property in Aix-en-Provence. Esprit de France also seeks to manage hotels for third parties and has a club of affiliated houses and properties sharing similar values across France. Sources d’Equilibre is a 60% holding of Compagnie Lebon. 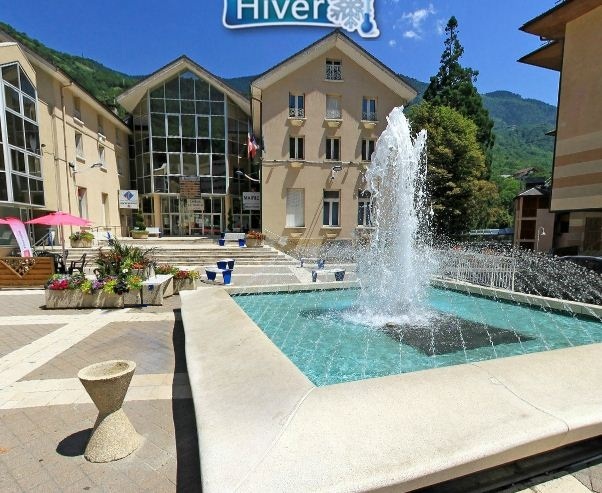 It owns and operates three health spas and two hotels at the site of historical thermal springs. Compagnie Lebon’s real estate division is known as Paluel-Marmont Valorisation. It invests opportunistically in public and private real estate companies and assets among many different real estate types. The total portfolio is worth 85 million euros. Finally, the company has an active private equity arm. Paluel-Marmont Capital consists of two funds, SCR PMC 1 and FPCI PMC II. The first consists of pre-2012 investments and is in run-off. The second is currently making new investments, and has accepted capital from investors other than the company. Paluel-Marmont Finance invests both in venture capital and large buyouts. Last, the company has a 5% ownership position in another holding company, Salvepar. What’s it all worth? Well, here at OTCAdventures, we’re in the business of providing readers with interesting ideas for further research, not making recommendations or providing price targets. So I’ll let you draw your own conclusions. It’s more fun that way anyhow, right? However, the company very helpfully publishes its own calculation of value. For 2016, it was 240.3 per share. Earnings for the year were 17.5 per share, so the company’s estimate of value works out to 13.7x earnings. That’s pretty reasonable. Shares last changed hands at Eur 181.3 for a trailing P/E of 10.4 and a discount to estimated NAV of 25%. So if you do accept the company’s figure as reasonable and would be willing to pay more than 10x earnings for Compagnie Lebon, the current price looks pretty cheap. 2016 summary figures are here. Who knows how long Compagnie Lebon will remain public? Maybe the Paluel-Marmonts will finally tire of the nosy hoi polloi peeking at their holdings. But perhaps not. It does seem that family-controlled companies that have ceded their management to professionals are both more willing to remain public and less likely to suffer from poor corporate governance. So maybe Compagnie Lebon will be publicly-owned for much, much longer. Either way, it’s fun to watch these terrifically old companies morph into 21st-century firms. Alluvial Capital Management, LLC does not hold shares of Compagnie Lebon SA. Alluvial Capital Management, LLC may hold any securities mentioned on this blog and may buy or sell these securities at any time. For a full accounting of Alluvial’s and Alluvial personnel’s holdings in any securities mentioned, contact Alluvial Capital Management, LLC at info@alluvialcapital.com.